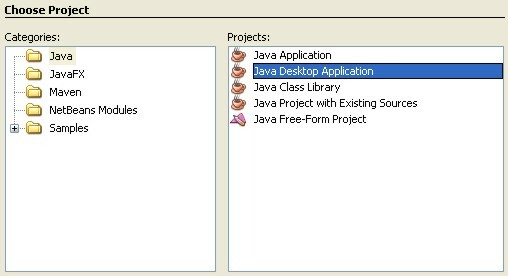 In Categories choose Java, in Projects choose Java Desktop Application, click Next button. In Disclaimer dialog, click Next button. Set Project Name = Project01. To determine your own location, click Browse..., click Finish. 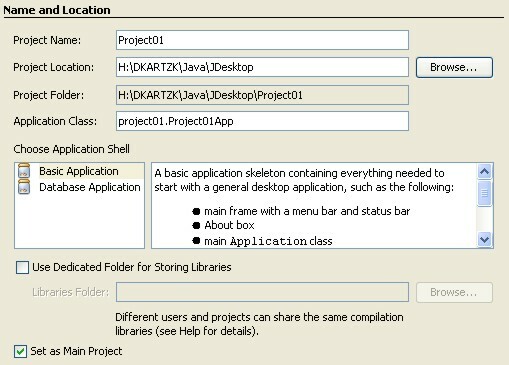 In Projects tab, we can see a new project named Project01. 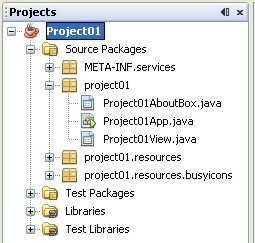 Project01View.java. But for this section, we should ignore them. 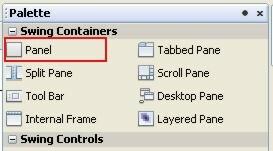 Set Package Name = package01, click Finish button. 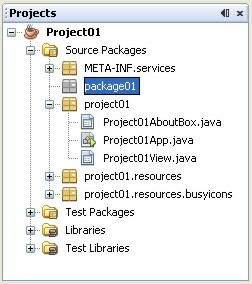 In Projects tab has added package01 packages. 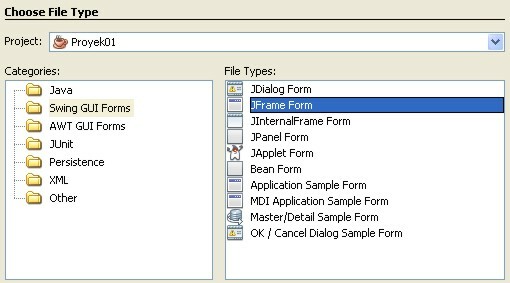 In Categories choose Swing GUI Forms, In File Types choose JFrame Form. 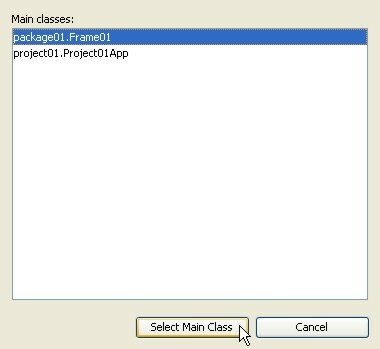 Set Class Name = Frame01. In this case, we will add JButton control. 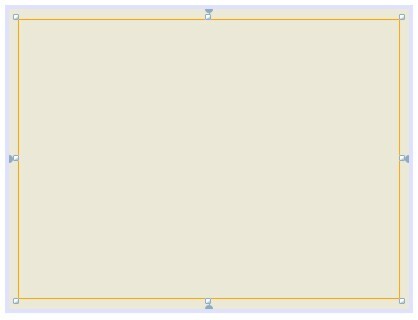 In Palette tab, Swing Containers subtab, click Panel container (not drag), then put panel by clicked frame, and set the measurement. 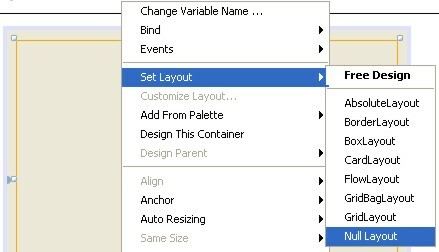 Change panel's layout by right click its panel, choose Set Layout - Null Layout. Null Layout give ability to positioning/measuring a control independently. In Palette tab, Swing Controls subtab, click Button control (not drag), then put it by clicked panel, and set the measure. Now assign a command, when the button was clicked. 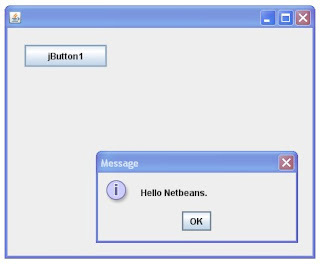 Right click jButton1, choose Events - Action - actionPerformed. But there is an error symbol. 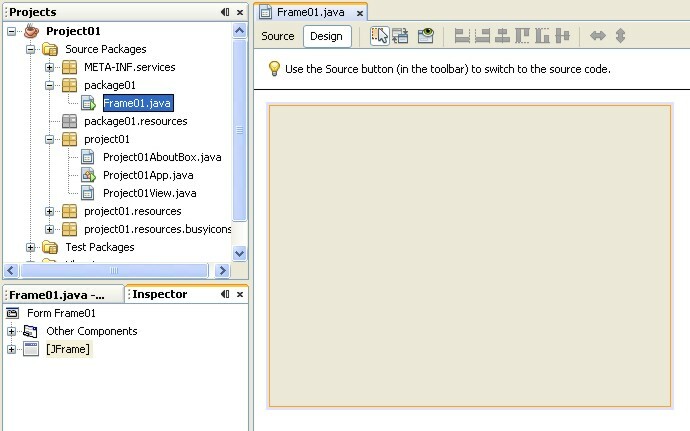 To solve it, click that symbol and choose Add import for javax.swing.JOptionPane. 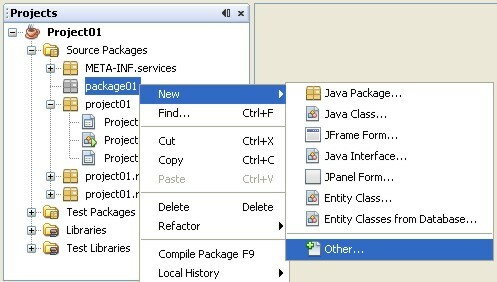 In Categories choose Run, then browse... Main Class file. 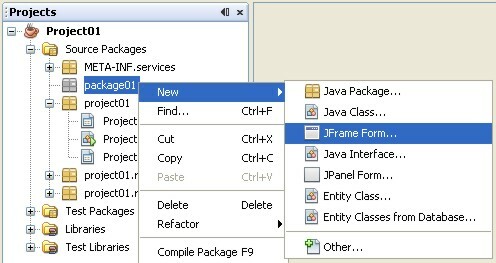 Choose package01.Frame01.java, click Select Main Class. 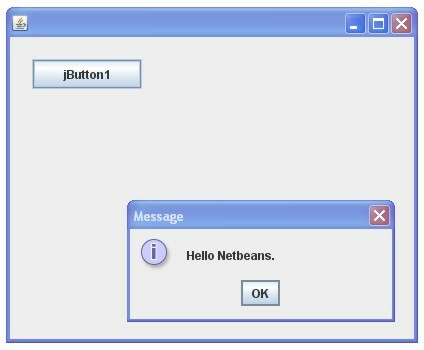 The Frame would be showed after click jButton1. 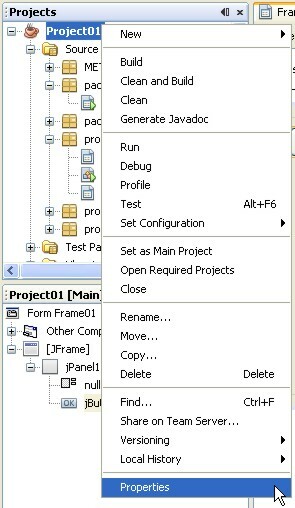 To change Look & Feel, right click Project01 node, choose Properties (like as 4th step), in Categories choose Application -> Desktop App, at Look & Feel choose javax.swing.plaf.metal.MetalLookAndFeel. Click OK button.